Red gemstones are powerful, vibrant and look exquisite, especially in yellow gold settings. This season, spruce up your jewelry box with a couple of red gemstones jewelry pieces that will make you stand out from the crowd. When you go buying precious & semi precious stones jewelry, don’t forget to add a couple of attention-grabbing pieces on your shopping list. If you want to get some inspiration, read further. We have prepared a top of the most fabulous red gemstones that you need to have. Red is a popular color, especially for gemstones. Along with blue and green, these colors are the most coveted. While blue is icy and green friendly, red speaks for passion. It’s no wonder that people choose jewelry with red gemstones to mark their wedding anniversaries. Don’t know which gem is the right one for you? Don’t worry, we’ve got your back. Here’s a list of the best red gemstones in the world. Every time you think of red gemstones, the ruby pops up in your mind. This happens because it is not only the most popular red gem, but also one of the most beautiful. With its lush vibrant color, the ruby is an exquisite precious stone that fascinates people. It has a great hardness score on the Mohs hardness scale (9) and comes in a variety of red hues. One of the most coveted and expensive rubies have a “pigeon blood” color that is simply mesmerizing. However, you should know that most rubies on the market receive a heat treatment that enhances their color. Synthetic rubies are also available, so you should always ask for a certificate when buying ruby jewelry. The birthstone of January, garnet gem are some of the most fabulous red gemstones. They are not as hard as rubies, but still durable enough to be considered some of the oldest gemstones in the world. That’s right, the garnet was one of the first gems to ever be discovered. 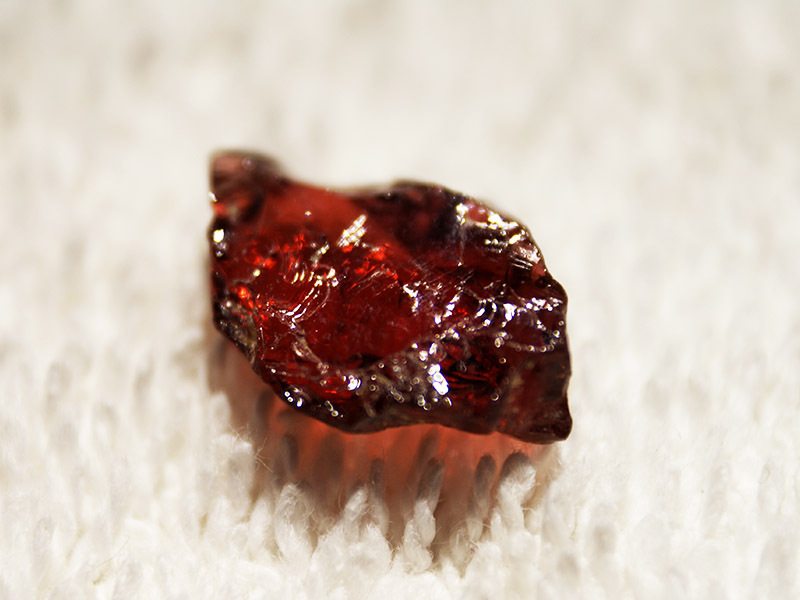 Usually, these red gem offer great clarity as they don’t have visible inclusions. Many people confuse them with rubies because of their vivid red color. An interesting thing to know about garnet is that they actually come in every color of the rainbow. The blue garnet is the most expensive and rare variety and it can end up costing a lot more than diamonds. This beautiful gem is the only organic stone of the red gemstones. This means that it comes from a living organism, just like pearls come from oysters. Coral polyps are the creatures that produce this stone which can be translucent or opaque. Be very careful when wearing coral jewelry, though, as it has a very low hardness score (3 to 4 on the Mohs scale). This lovely gem often comes with white or grey strips that create a beautiful effect. It is very rare to find a red agate gemstone in a single color, without the stripes. If you happen to find one, you should ask the seller if it is a dyed agate. To make it more appealing, many jewelers choose to dye them gemstone and cover its natural bands. With a glossy luster and a good hardness score of 7, the carnelian is one of the most desired red gemstones. There was a time when this stone was highly valued because people believed it to be very rare. Today, even though we know carnelian gemstones are not that rare, we still love them for their glossy luster and vintage charm. A rare and stunning gem, the fire opal comes from Mexico and its colors range from light yellow to vivid orange and red. As most opals, this gem can be fragile as it is not very hard. However, fire opal jewelry is mesmerizing. One of the rarest red gemstones, the fire opal create beautiful pieces that can last a long time if you take care of them. 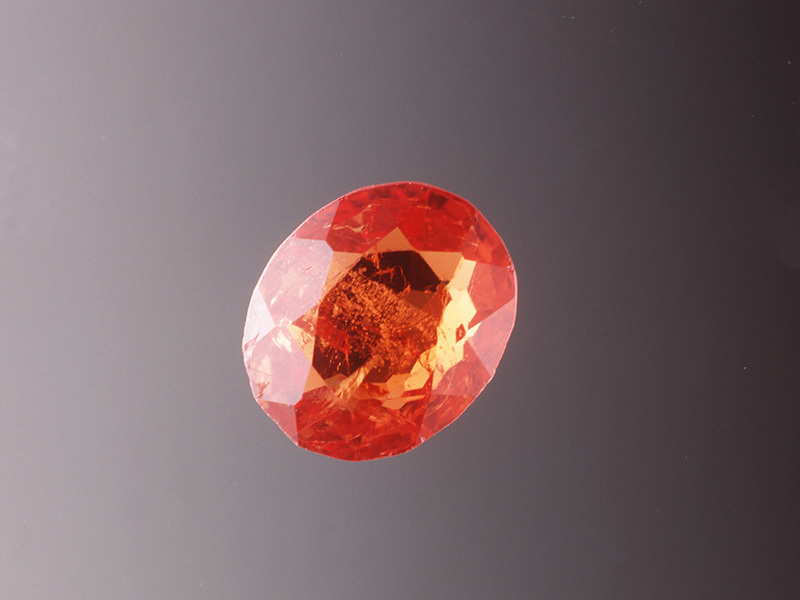 Of all the red gemstones, the red zircon is, perhaps, the most underrated one. Many people confuse zircon, which is a natural gem, with cubic zirconia which is synthetic. 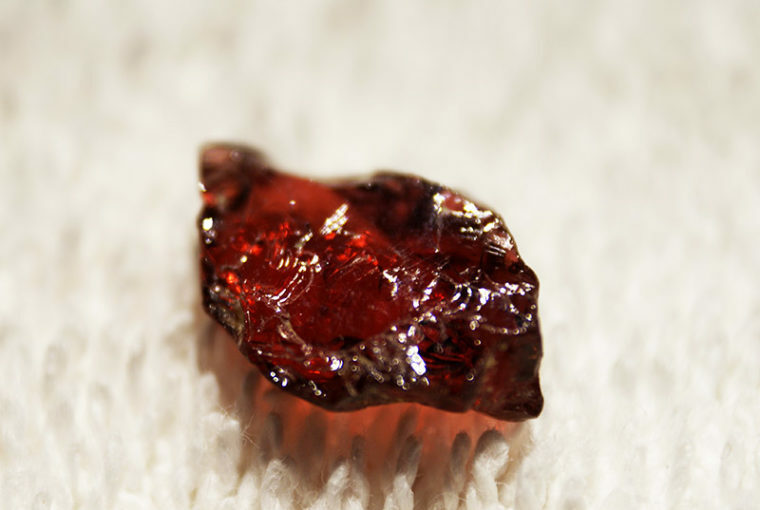 Red zircon exists in nature even though it may be rare. These red gemstones have vivid colors, sometimes with purple or orange tints. However, they are not very hard and can be brittle, so treat carefully when you are wearing your red zircon jewelry. Wonder why we left the red diamond last? Well, because of all the red gemstones, this diamond variety cannot be purchased. It is the rarest and most valuable of all the diamonds and, usually, a collector’s item. This mesmerizing gemstone is so rare that you can’t find it in a jewelry shop. You can only buy it at an auction and only a handful of red diamonds exist in the world. What’s more, it is very hard to find red diamonds over 1 carat. But if you happen to come across one, consider yourself very lucky. If you want to learn more about gemstones, discover jewelry fashion tips and buying guides, continue to read our other articles as well. We publish daily articles to inform you and help you make the best choices when it comes to jewelry. To see Ana Luisa’s unique NYC jewelry collection, visit our online jewelry shop.